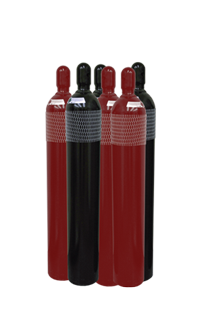 With Depke Gases & Welding Supplies, you’ll spend less time managing your gas cylinder inventory, and more time running your business. Through even-exchange deliveries and on-site cylinder audits, we guarantee a consistent supply of gas while avoiding inventory buildup. Our customer portal website gives you instant online access to your current cylinder balances, cylinder rental invoices and purchase history to help you minimize costs, meet regulatory requirements and avoid lost cylinders. By utilizing our online customer portal, we’re able to offer full transparency when it comes to ensuring your cylinder balances are completely accurate. You can access your cylinder balance detail online 24/7 to avoid surprises and for assistance with budgeting requirements. Combined with our time-tested cylinder management processes and procedures, we take accuracy seriously.